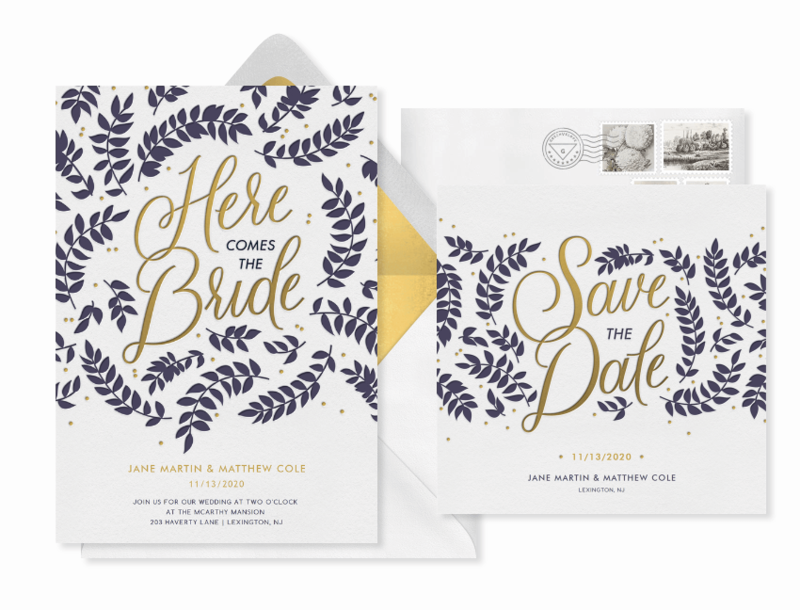 Whether it’s a patterned liner, elegant wax seal, or a cluster of pretty stamps, statement details are having a moment (and we’re here for it). 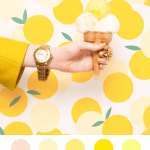 This trend is perfect for couples looking to stand out with a little something extra. 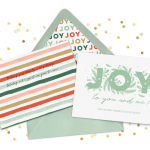 Tone-on-tone designs don’t have to be boring; in fact, we think they’re pretty chic. 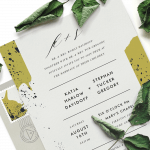 Whether this style is achieved through a letterpress effect or by layering monochromatic hues, tone-on-tone invitation designs are trending with classic elegance. 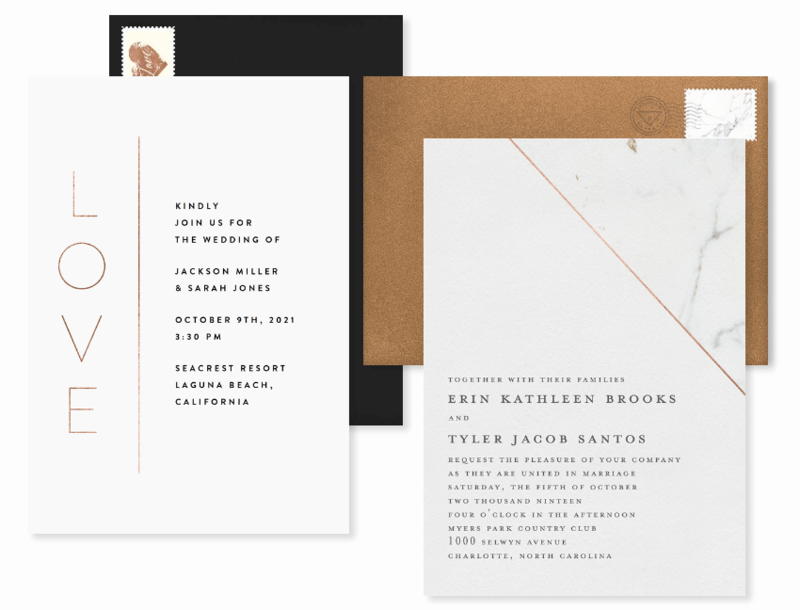 Whether it’s rust-colored paper with copper details or a slate-colored background with silver-foil accents, invitation styles with mixed metals have become an applauded trend in wedding stationery. 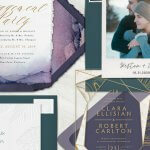 Often used to generate a unique first impression or hint at an overarching wedding theme, mixed metals are ideal for couples who value an added touch of creativity. 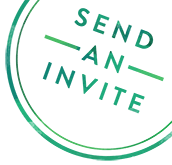 2019 is the year for clean lines and minimalism. 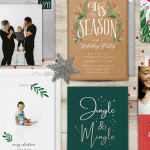 Complete with deliberate white space and sparse blocks of text, this modern design style is an adored trend that just continues to grow in popularity. 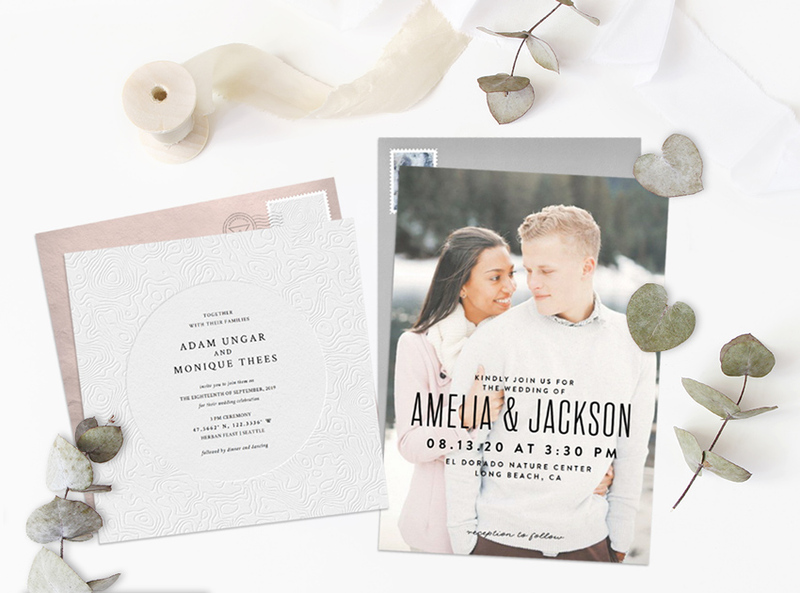 Trendy, chic, and endlessly romantic, we love how a typeface set with hand-lettered charm can add soft, feminine elegance to an invitation design. 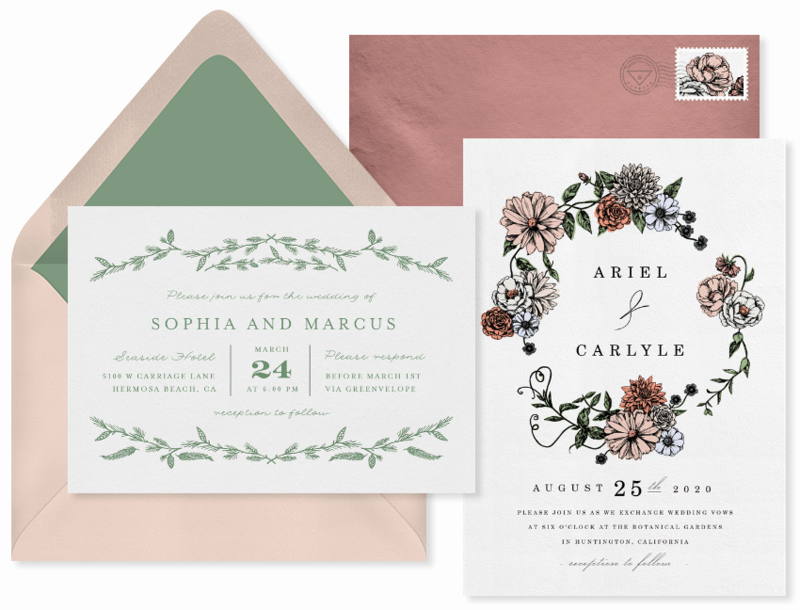 Whether it’s a colorful silk flower garland or a greenery-inspired wreath with clusters of eucalyptus, this trend captures a unique elegance through earthy tones and organic-feeling elements. 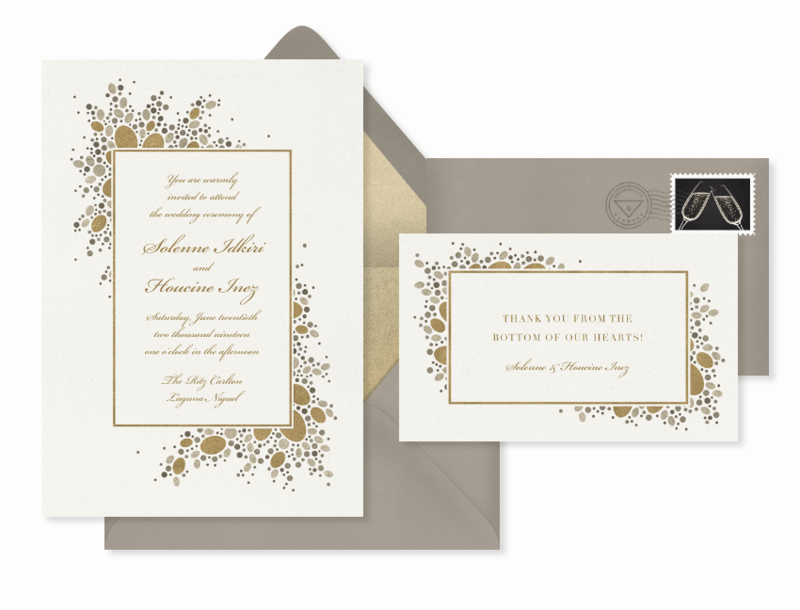 Matching simplicity of design with purposeful layouts, each detail is sure to add a compelling touch of charm to any wedding celebration. 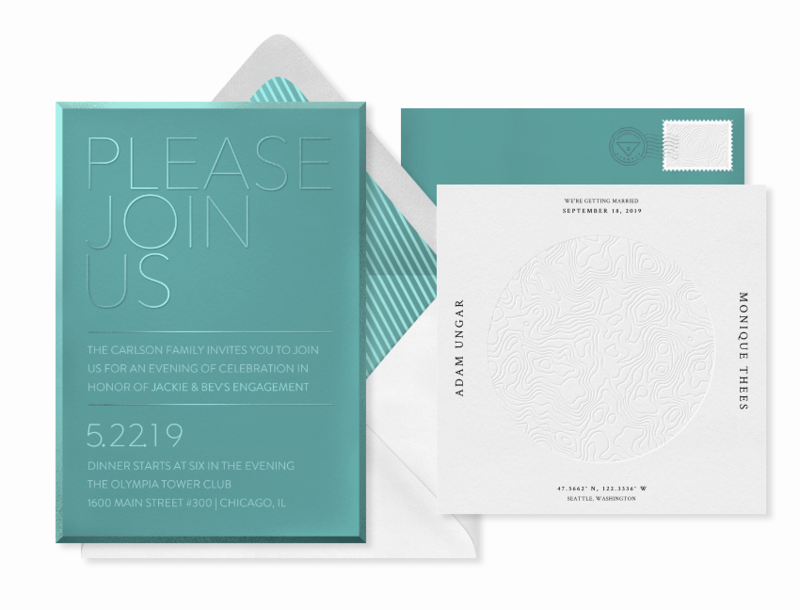 Unlike the clean, crisp paper you might be used to, deckle edge invitations have rough-cut edging that offers a soft, feathery charm. 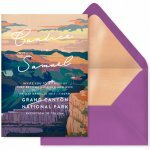 If you’re hoping to generate a romantic vibe at your special event, a deckle edge invitation is perfect for a more delicate, antique-looking style. 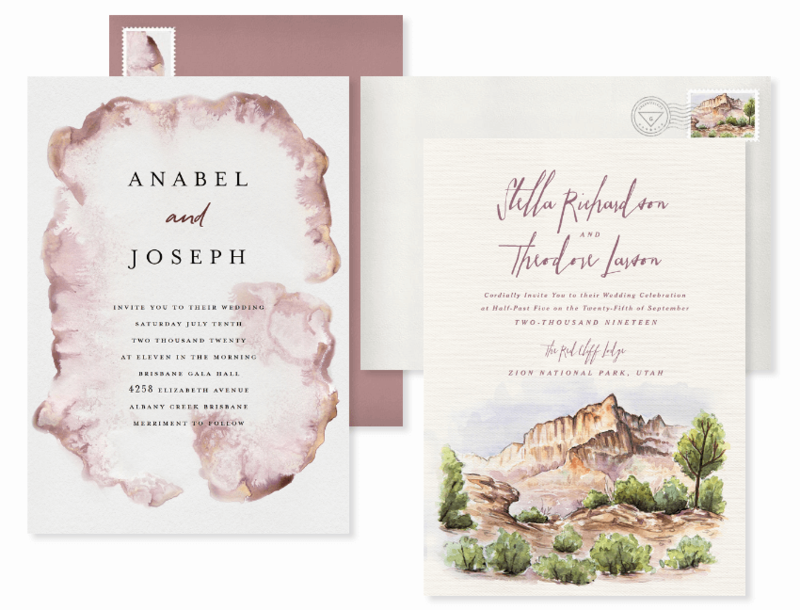 Often described as whimsical and dreamy, watercolor invitations are just as beautiful as they sound. 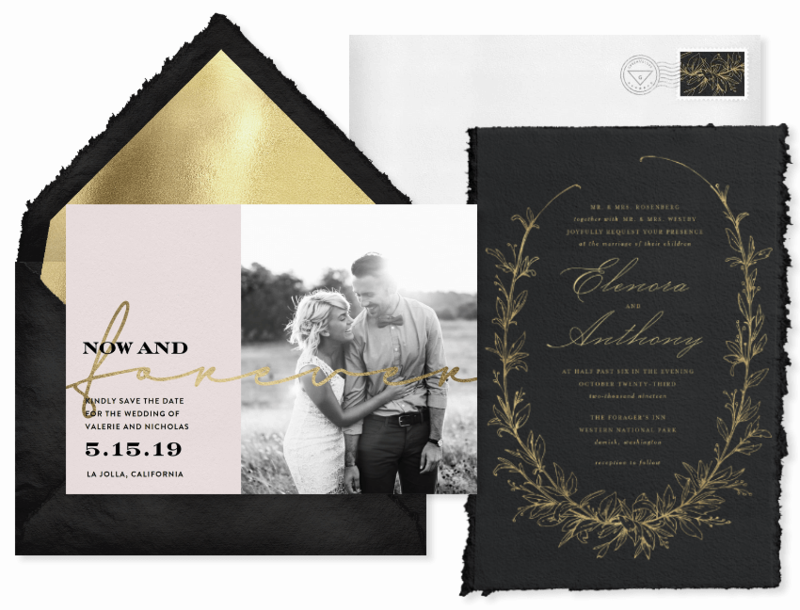 From soft, hazy designs to vibrant, watered-down strokes, formal and casual celebrations alike can work with this artful look. 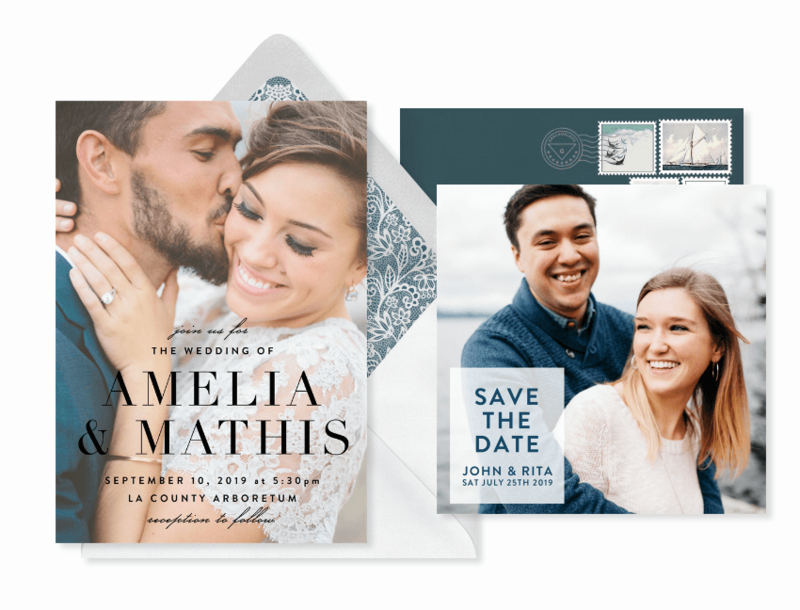 Not only do we love invitations that feature a personal photo, we especially love full-photo designs that beautifully dance off the page. 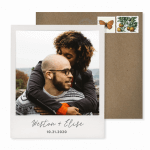 Whether your photo depicts a rustic image captured in the rural outdoors, or a more urban setting with modern city flare, incorporating a photo that truly represents you is the perfect way to kick off your celebration. 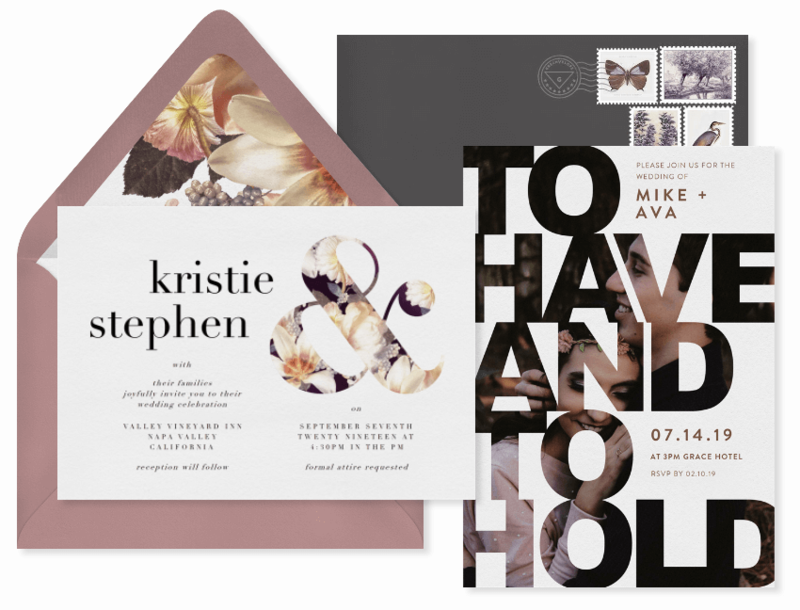 For more stylish designs, see Greenvelope’s full collection of wedding invitations here.